Consider the proverbial gauntlet thrown. 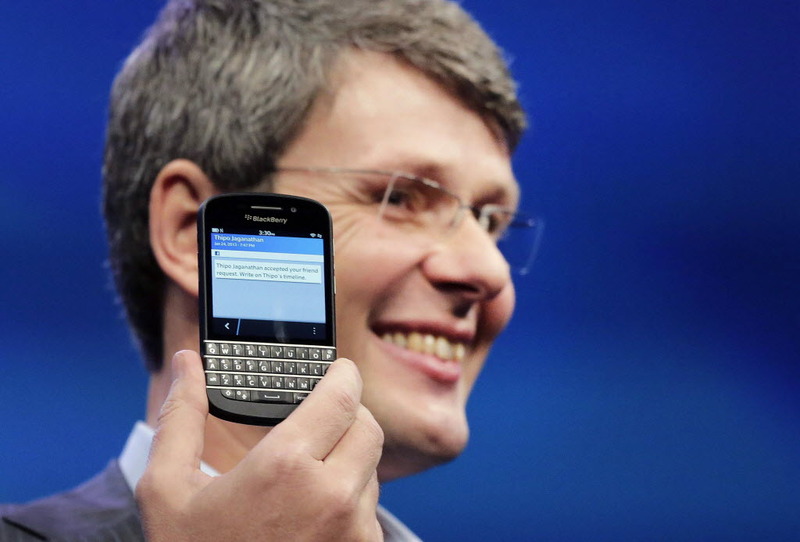 In an interview with The Australian Financial Review, BlackBerry CEO Thorsten Heins claimed that, in this world of rapidly released smartphones, Apple, the once leader in the industry, will find itself left behind as its competitors improve the quality – and affordability – of rival devices. “History repeats itself again I guess … the rate of innovation is so high in our industry that if you don’t innovate at that speed you can be replaced pretty quickly. The user interface on the iPhone, with all due respect for what this invention was all about is now five years old,” said Heins. But with releases like the recent Samsung Galaxy S4, and news of the new affordable Nokia smartphones, there are many more options for people to choose from. And, in the wake of a failed attempt to tackle the tablet market, Heins feels that the new Blackberry 10 devices will put the company back in the game. And, with an expected 100,000 available apps by the time the new line launches in the U.S. this week, there’s a chance the company could actually begin a real comeback. Without a doubt, apps play a pivotal role in the success of any phone, an area that BlackBerry was sorely lacking in prior to the new release. But another benefit BlackBerry has over most other smartphones is the ability to multitask; whereas the iPhone can only run one app at a time, BlackBerry allows users to run multiple apps simultaneously. Despite the benefits BlackBerry may have on paper, now is a make or break time for the company. It still has to convince consumers that it deserves to survive. Many have speculated that the company has been on the verge of collapse, but Heins denies it. In fact, he confirmed that a customer – who cannot be revealed due to a confidentiality agreement – recently agreed to purchase one million handsets. For now, the company is going to focus much of its effort on marketing in Australia, which Heins says is one of its top 10 markets. We’re expecting to see an equally large effort here, once the devices launch in the United States. So will Heins’ predictions come to light? Will Apple lose its stronghold on the smartphone market? The coming months will no doubt be eventful and show us just how the industry will change. But one thing is for certain: if BlackBerry is to succeed, there no doubt needs to be a change in the eyes of consumers.